A virtual private server is born from the division of a parent physical server where resources are shared. VPS web hosting service is very reliable, secure and definitely cheap. You can get all the features of a dedicated server with VPS at an amazingly low price. 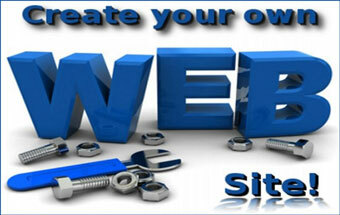 Website owners who share the servers also share the cost and it makes VPS cost effective. But interestingly, all the website owners sharing the servers have full control over their own applications resources. This makes VPS a deadly combination of fabulous web hosting services at a very low price. Now, if you are planning to upgrade your VPS server hosting but wondering how gruesome the task will be, here is some useful piece of information for you. Firstly, VPS server up gradation is not at all difficult. 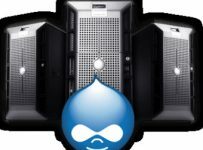 You need to decide what kind of upgrade you want that is whether it is hardware or upgrade in the capabilities etc which the web server is using. Once you decide the upgrade mode, you need to do the following tasks. Call or email the service provider regarding the upgrade. Make an upgrade request and be clear in specifying your requirements. The upgrade will be likely to take place within 24 hours at the maximum. In VPS servers, upgrade is done by experienced technical professionals from the company and you do not have to do anything. But before you make the request you must be well aware of the VPS service provider guidelines and company policies. 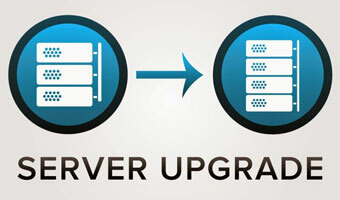 There is a plethora of upgrading options regarding the capabilities within a good web server. You cannot ask for all of them. Hence, you must know what services your VPS provider can offer. There are some already available upgrade options which you can consider going through as well. When to perform the upgrade? Imagine an eager user logs on to your website for some services and just right at that time the upgrade work commences. It will really be so frustrating on the part of the user. Thus, you must be very careful while choosing the time for upgrade of the server. The upgrade work must be done at a time when your website experiences the minimum amount of online traffic. It takes a good deal of time to perform the software and hardware upgrade or maintenance work. Make sure you exactly know what kind of upgrades you wish to see on the web server. 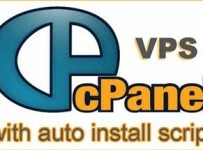 Today, with advancement of technology upgrade processes have become automated in many VPS service providing companies. You just need to log on to your account and choose the upgrade process. The work will commence automatically and you will not need any help from the technical experts. Virtual Private servers offer these upgrade options to ensure that the customers can never face any problem with their website. If you are not sure whether you should go on with an upgrade, you can speak to the technical support professionals. Most of the VPS service providers have a team of excellent technical staff who can tell you about the various upgrade options and whether you require it or not. With expanding business you might need more bandwidth or disk space for your website. The web traffic might have increased and hence better hardware and software controls are required. For all these reasons it is important to upgrade from time to time. With advanced technologies, your website must also walk hand in hand. The uptime also gets enhanced with upgrade. So, always keep a check on the VPS web server while you go on with the upgrade work.